The list of momentous occasions throughout our lives is seemingly infinite. Birthdays, graduations, engagements, weddings, retirements—we could go on and on. Because these wonderful events happen for us and our loved ones on a nearly-constant basis, sometimes the gift-giving game can become a bit trite. Rather than stay stagnant with gift cards or traditional with flowers, give your loved ones a present they will truly remember: a luxury car rental. Work with Klasse Auto Rentals in Denver to make sure the recipient of your gift meets the requirements of a luxury car rental, and get ready to truly wow your friends and family with how you show your love for them. Read on for luxury car rental gift ideas, and talk with a representative at Klasse Auto Rentals today! A usual, standard bachelor (or bachelorette) weekend involves close friends getting together combined with a night out on the town. For a way to really step it up, host the event out in the Mile High City and rent a luxury car! Does the nearly-wed friend love the thrill of a sports car? Look into renting our Porsche Boxster or Porsche 911. They will be agog at the idea of coming out to Denver for a weekend in the city or the mountains, and to add on the excitement of a sports car rental will essentially blow their minds. 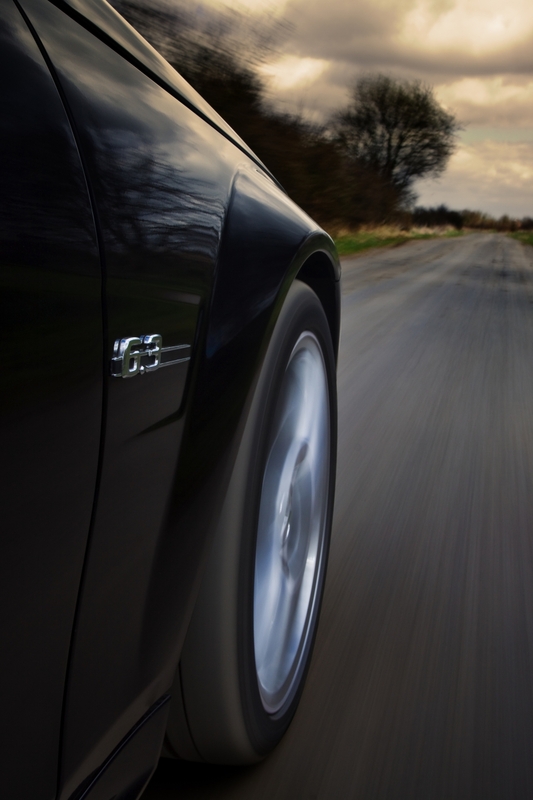 Make it a bachelor or bachelorette weekend to remember with a sports car rental! Retirements are amazing celebrations that close out a large chapter of one’s life. The way to make this even more memorable is to give the gift of a luxury car for a Colorado trip. Whether the recent retiree is living in Colorado or is deserving of a getaway, a rental luxury car will make their trip complete. An Audi A4 offers a supremely luxurious way to travel from mountain to mountain, or even just to cruise around the city in style. With Denver being the gateway to adventure everywhere, take the adventurous road in the most elegant of ways. Treat a loved one today! Many of us love the off-beaten paths and the rugged roads. Denver is an incredibly popular place for travel and honeymoons alike, serving as a hub to the Rockies and more. Setting up the newlyweds with a GMC Yukon is the perfect opportunity to celebrate marriage in style. With room for gear and luggage, as well as all-wheel drive, the GMC Yukon serves as the perfect marriage between safety and style, which makes it perfect to ring in a new marriage. Having a rental car taken care of will assuage the planning state and potential anxieties for the couple, who likely have had their fair share of having to plan countless other things. For the couple that wants to begin their adventure together in an adventurous manner, setting them up with a luxury rental car is the best way to start. Weddings are major events to celebrate, but equally impressive (if not more) are the years of commitment and dedication that follow. It’s awe-inspiring to see couples that last through the ages, especially in a day and age where break-ups are more common than relationships that withstand the tests of time. Life can sometimes get in the way of an anniversary, which is where you, the gift giver, come in. Set up a luxury rental car, such as a Volkswagen Passat to help the couple take the time to cherish the years they’ve grown together! Taking this part of their trip off their hands will not only make an anniversary celebration easier, but it will also bring their special day to the most elegant of ways. Birthdays are awesome for so many reasons, and one of which is the chance to get loved ones all together. Instead of having the usual hangout at the usual spot with the only change being someone special is another year older, kick it up a notch with a luxury car rental. Get the squad together for an adventure that starts in Denver! There are a plethora of luxury rental cars that will make for a perfect weekend getaway, and provide the opportunity to keep the birthday celebrations going. Our Audi A4 promises your rides on vacation will be in style, or rent the GMC Yukon to pack more people (and accompanying luggage) in. Maybe you want to celebrate a best friend or significant other’s birthday—go off the grid with a sports convertible! No matter which rental luxury car you choose, it will be a birthday for the books. Maybe you recently got promoted, you accomplished a long-term goal, you got the job you always wanted, or anything in between. We often give most of ourselves to the ones we love, which is undoubtedly a beautiful trait. However, we can sometimes leave part of ourselves behind in the process. You can have any number of reasons to treat yourself, or absolutely none at all, and still completely deserve a luxury rental car. Regardless of the gift or the occasion, regardless of who is being celebrated, a rental luxury car will ensure for a standout present that will have the gift receivers reminiscing of this particular occasion for years to come. 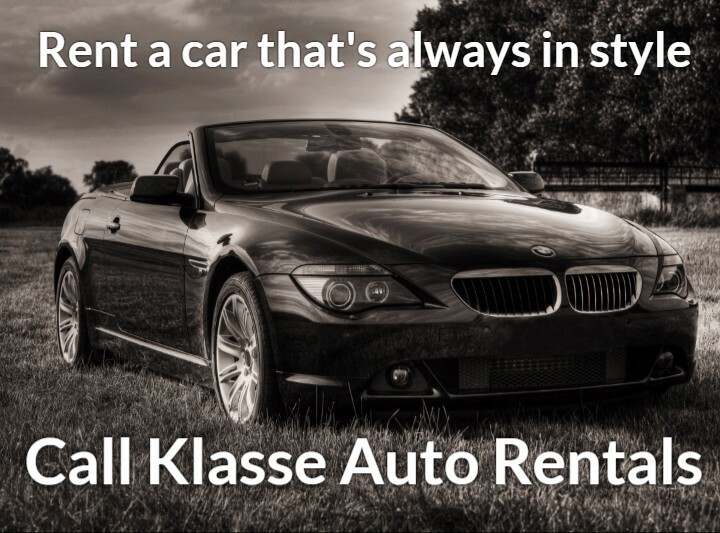 Check over our luxury rental car requirements, and contact Klasse Auto Rentals today!